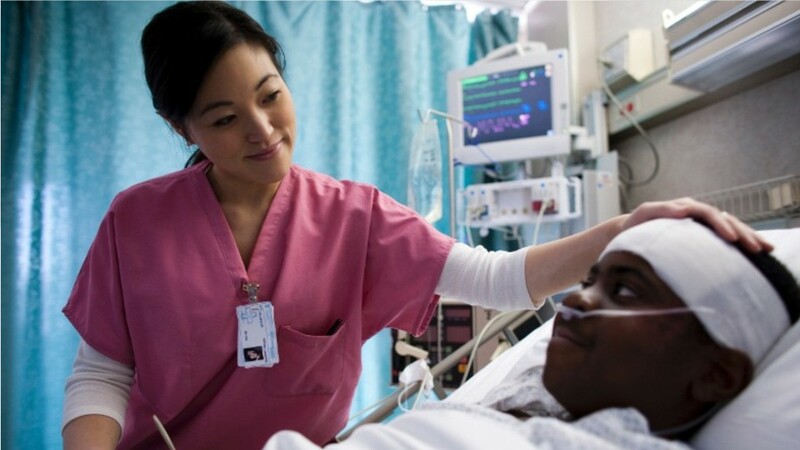 Registered nurses, or RNs, are the largest healthcare occupation for good reason; they give patients medical care, educate them about their health issues, and offer emotional support. These medical professionals observe and record their patients’ condition. They help perform diagnostic tests to make effective plans for patient care. Before patients head home from a treatment or procedure, RNs explain how to manage the illness or injury. A core part of medical teams, they consult with doctors and other health care professionals and may oversee the work of other nurses and assistants. Registered nurses work in hospitals, doctors’ offices, home health care services, and nursing homes. Some work in correctional facilities or schools, or serve in the military. Nurses may also have the opportunity to travel, as they are needed across the U.S. and around the world. Risks—such as back injuries from lifting patients or exposure to infectious diseases and chemicals—are part of the job. They may work nights, weekends, and holidays, and be on call in off-hours. There are three paths to become an RN: a bachelor’s degree in nursing, an associate’s degree, or a diploma from an approved nursing program. They must also be licensed. Some nurses earn a master’s or doctoral-level degree and work in management, research, or academic settings. Combining competence with compassion, nursing is a career that improves —and even saves— many lives. See more details at O*NET OnLine about registered nurses. Registered Nurses by U.S. Department of Labor, Employment and Training Administration is licensed under a Creative Commons Attribution 4.0 International License.